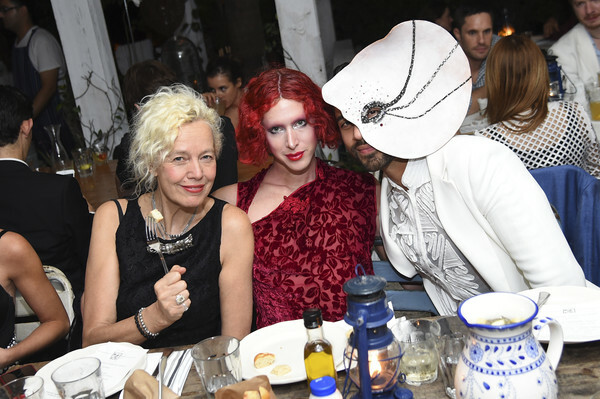 Ellen von Unwerth, Love Bailey, and Gregory Alexander attend Tableaux Vivants: Decadence. Deviance. Dinner. hosted by Ellen von Unwerth & Soho Beach House during Art Basel Miami 2015 at Soho Beach House on December 5, 2015 in Miami Beach, Florida.